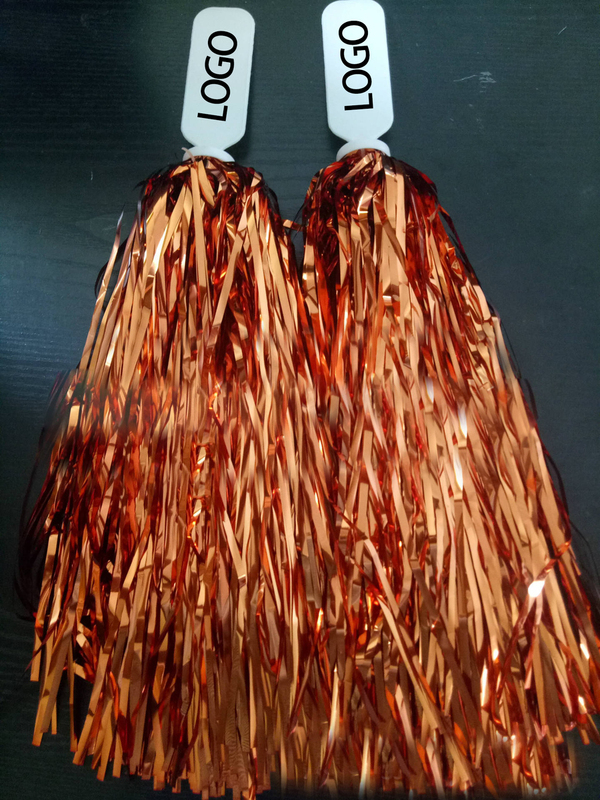 Show your school spirit with this plastic pom pom! We offer a generous variety of colors. Pick your school color scheme and you're ready to go! A great cheering accessory for high schools, colleges and any athletic associations.Any customized logo can be printed on it. Package: 1 pc/poly bag, 1000 pcs/ctn, 57.32 lbs/ctn.